Forged Performance’s 2015 STI sitting on 18×10 +40mm Volk Racing TE37SLs!! The guys at Forged Performance don’t move slowly. You’ve probably seen pics flying around the web of their multiple track cars stomping around the track. If you haven’t get on google and start searching!! 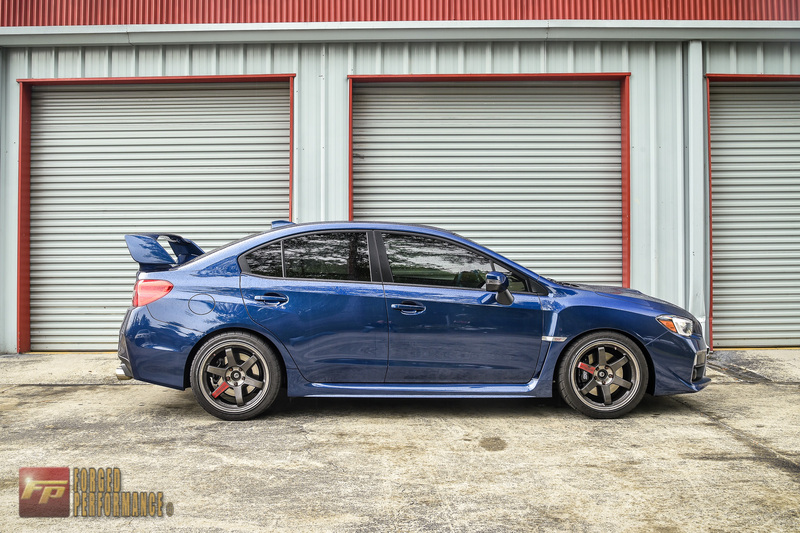 They’ve taken delivery of their new 2015 Subaru Impreza WRX STI and they aren’t slowing down. They had a gorgeous wheel and suspension setup on their old STI and have decided to swap it all over to their 2015 STI and see how it worked out. The good news, it works. The better news is they didn’t need to….